System 7 is the collaborative project of Steve Hillage and Miquette Giraudy. Their style ranges from trance, techno, ambient and progressive house, with themes that often contain earth, ocean & space references with the added element of Steve's distinctive often heavily processed guitar. 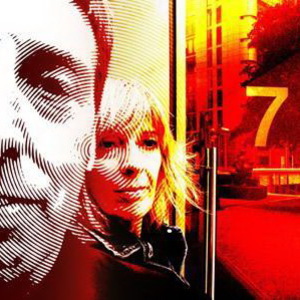 While Hillage and Giraudy represent the core of the group many of their tracks are made with a wide range of guest artists including Derrick May, Alex Paterson, Carl Craig and Laurent Garnier. Their style ranges from trance, techno, ambient and progressive house, with themes that often contain earth, ocean & space references with the added element of Steve's distinctive often heavily processed guitar. While Hillage and Giraudy represent the core of the group many of their tracks are made with a wide range of guest artists including Derrick May, Alex Paterson, Carl Craig and Laurent Garnier. System 7 released their first record in August 1990, and since then have released 9 albums and a string of singles with some classic remixes. They are still together in 2009, and are usually found in or around London, UK. The project was named after Apple's Mac OS 7.